Couple a days back I received a request from a reader(Jacinta) to do a look using shades of teal, green and purples for her brother's engagement and this is what I came up with :) Personally I am very happy on how it turned out and I hope Jacinta likes it as well. Below is the request I received from her. "hey dear,i have been reading ur blog for quite sometime,and i loved it,u have really easy way to understand the step by step makeup,could u do a makeup tutorial for me for my brothers engagement,i am wearing a patiala suit, which has gold,purple and parrot green.is that okey for you?" Lets start with the step by step tutorial, I have mainly used my 88 matte color eyeshadow palette and for the teal shade mixed Inglot 413 and Inglot 418 together since I did not have the exact teal color. I have circled the shades used from both the palettes. Step8:- Apply your favorite teal/green shade in the middle of the eyelids, I have used Inglot 413 + Inglot 418 here to get the desired color. Step10:- To bring some warmth back to the look, apply a light warm/orange brown shade above the crease and blend it well with the crease shades. 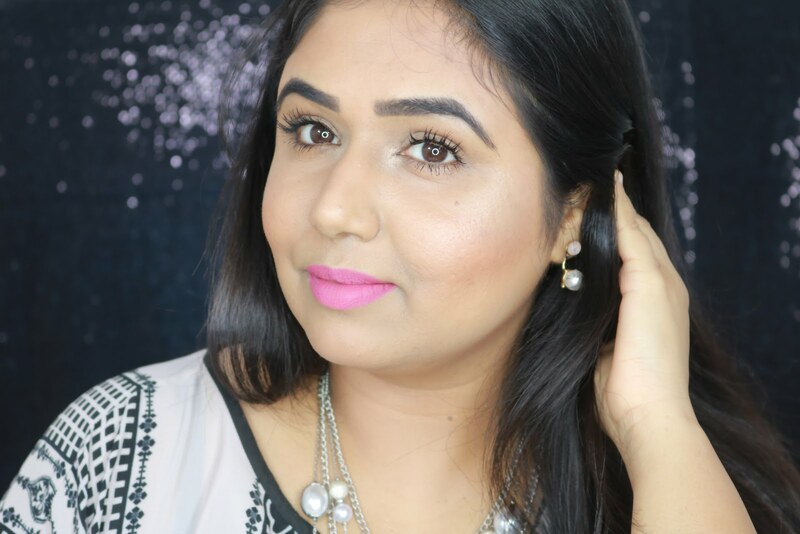 Step12:- Tightline your eyes and line your waterline with your favorite kohl, I have used Lakme Eyeconic Pencil here, also apply the purple eyeshadow on the lower lashline which we used in the inner and outer corners and blend it out with the magenta eyeshadow we first applied in the crease. Step13:- Finally apply a thin liner on your upper lash line and loads of your favorite mascara and we are done. Apply a soft golden eyeshadow in the teat duct area to open up the eyes further. I hope the tutorial was helpful, do leave your comments and suggestions below, until next time take care and stay beautiful! Loved the tut n step by step ..
Second last picture clarity is beyond expected ..
Trust me truly captured the colors n totally wooed ..
thank you for the look,i loved it,omg its so preety.i am very excited to do this look,thank you once again. Wow.. you have done an amazing job Pari... loved loved loved the blending of all the colors..
wow very beautiful and very well explained. Beautiful Parita all the colors look so well together. SUperb job Pari.. loved the colors.. and teh result is aweommee..!!! aaww your my sweetheart :) thanks dear..you always are very sweet! superb sis..i love your eye makeup & complete look in last picture.. Thank you so much Arivazaghi :) btw love your name..very unique..what does it mean? This is so well explained! loved the post Parita...way to go! Wow! You are truely talent! You have blended it so well! Awesome! Wow! I can never do this Pari! So many intense shades..m too scared t use them..